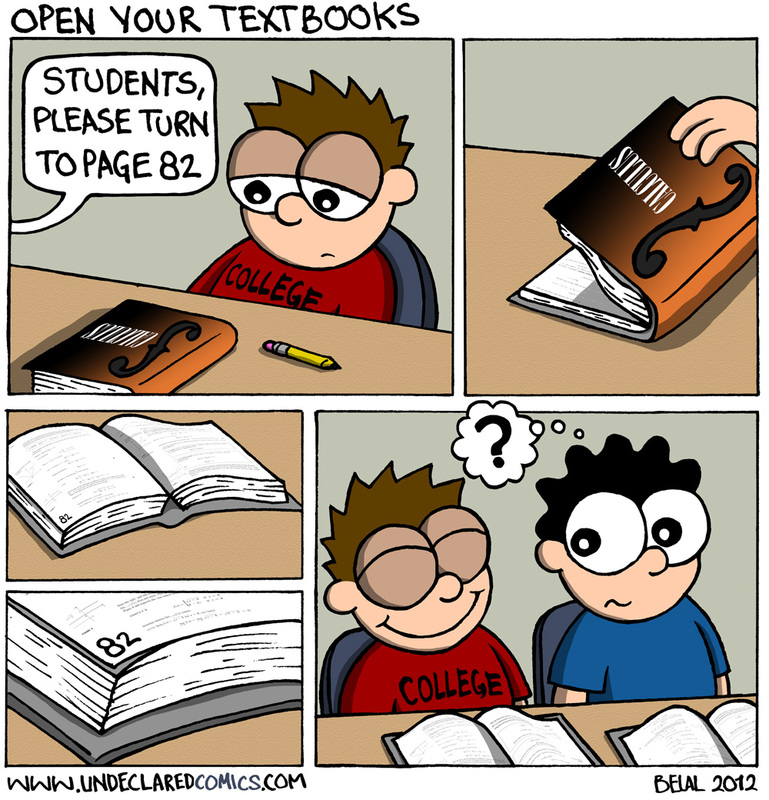 Opening your textbook to the exact page you wanted – its a great feeling. You burst with happiness and joy – from within – and nobody in the whole world will ever know your unbelievable accomplishment. There should be a like button for this comic. I have a Facebook Like button just under the comic. Can you not see it? Oh wow… there is one. Isn’t there an angelic chorus involved somewhere in that? Right on! If I were feeling audacious, I’d put my hands behind my head, lean back in my chair, put my feet up on the table, and let out a cliched pitch perfect sigh. Damn it. Feet up on the table. That’s genius. Love it. Too bad I refuse to take math/science courses at Mizzou. Stumbled into this and now looking at the whole strip; so very entertaining and true (mostly).